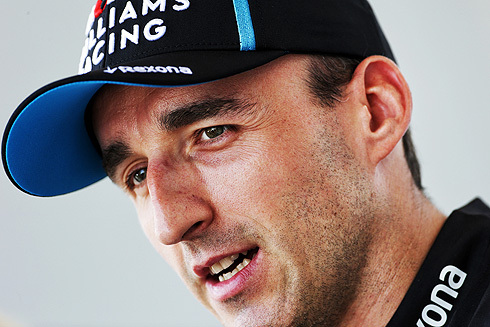 The 2019 season so far has been one of frustrating difficulties with the FW42 for Robert Kubica. But despite this he sees the issues that the Williams team is facing in 2019 are less complicated than those that the team had to contend with in 2018. Having had experience with the 2018 FW41 Robert is well positioned to comment on the issues that the 2018 car had compared to the 2019 FW42. In general terms Robert feels that the FW42 has made steps forward in the sense of the car been far more predictable. But it is now lacking in other areas but at least the Williams team knows where they are losing out. In commenting on the issues Robert said: “In some ways it’s easier problems to solve as you know the area and you know what’s lacking. Last year it was much more complicated, the limitation of the car were changing and was very inconsistent. “But from the other hand it’s difficult to change something in a couple of months if you arrive with this, it’s difficult as we struggle to create, to put the grip into the car, the downforce, and there is always a reason but it’s true also that you need to unthink new ideas or something that could unlock a lot of improvements. "We just need to make sure it will happen and as soon as possible. I think last year the issues were completely different and were difficult to predict. "I was not expecting to struggle with other issues we faced from Barcelona. From the performance point of view I would say it’s the same as what we’ve seen in the wind tunnel and everything. Then of course you never know what will happen with the other [teams]. I'm encouraged to hear that the wind tunnel and data at the factory actually correlate with what they see on the actual race car... Which race car, I don't know, as has been reported that the 2 cars are far from identical. I read it as GR is having a positive influence on RK. If I understand what's being said here -- and that's not an easy thing -- the team met its performance targets, but those targets misjudged what it would take to be competitive even in the midfield. I wonder whose job it was to decide on those performance targets. Can't wait To find Out. Isn't that what Sirotkin was referring to in an interview before pre season testing? That the car was expected to be 2 seconds slower than last year and when the Williams rolled out it was indeed slower (not the 2 seconds) but everyone else was ahead of last year or there abouts. Kubica said same just after Barcelona test, and then GR came to similar conclusions after Australia, what influence are you talking about?